This chilled Italian favorite is a go-to treat on hot summer days. The following post, written by ISDA Contributing Editor Francesca Montillo, appears on The Lazy Italian. Summer is in full swing in Boston and the temperatures are heating up! It’s usually around this time when my urge to bake diminishes and I start craving cold desserts or no-bake treats. I admit though, that with the oven at rest, the options are reduced substantially. And here enters tiramisu’. 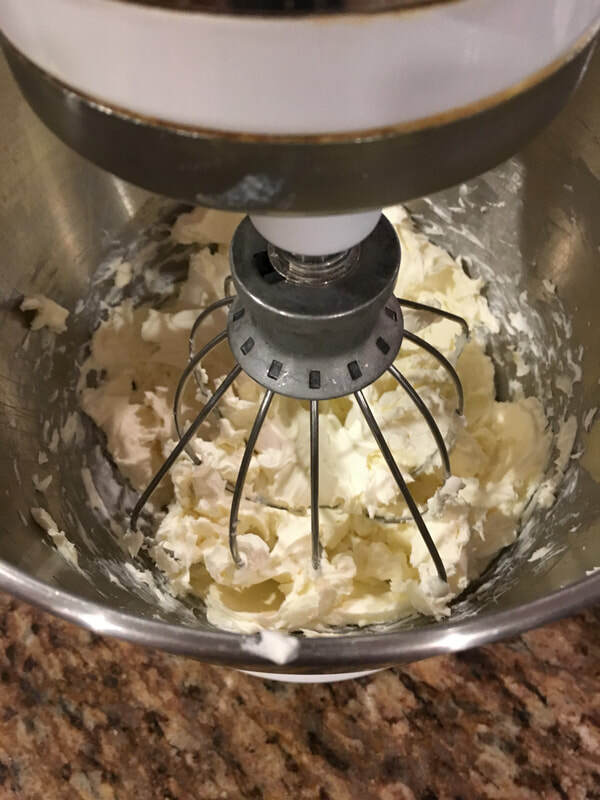 My go-to dessert for summer, this famous Italian treat is all about assembling and getting your ingredients lined up, far more than actual baking, since there is no baking at all, and it couldn’t get any easier than this. The hardest part is waiting for it while it refrigerates for several hours! The cream in traditional Italian tiramisu’ is made with raw eggs. 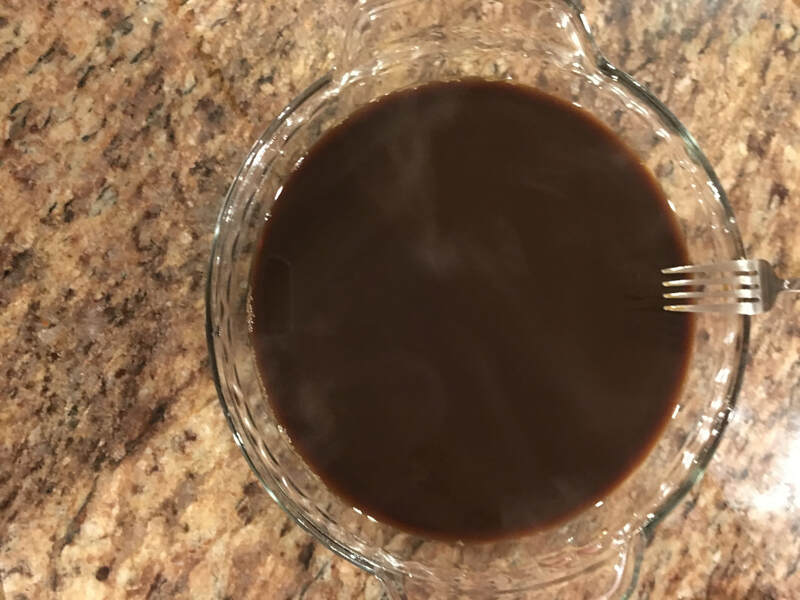 While I don’t have issues consuming raw eggs in some dishes, many others I’m squeamish about it, so in this alternative, we remove the eggs all-together. The reality is that you don’t miss them at all in the cream, and this version is just as tasty as any I have had at any Italian restaurant. In this step-by-step guide, you will see just how quickly it comes together and how easy this is! 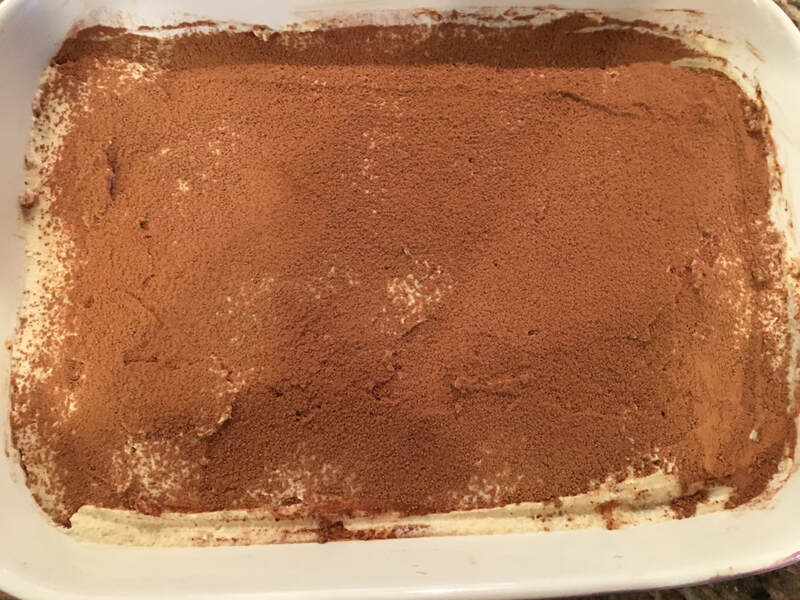 Cover the tiramisu’ while it refrigerates so it does not absorb any ‘fridgy’ odors. 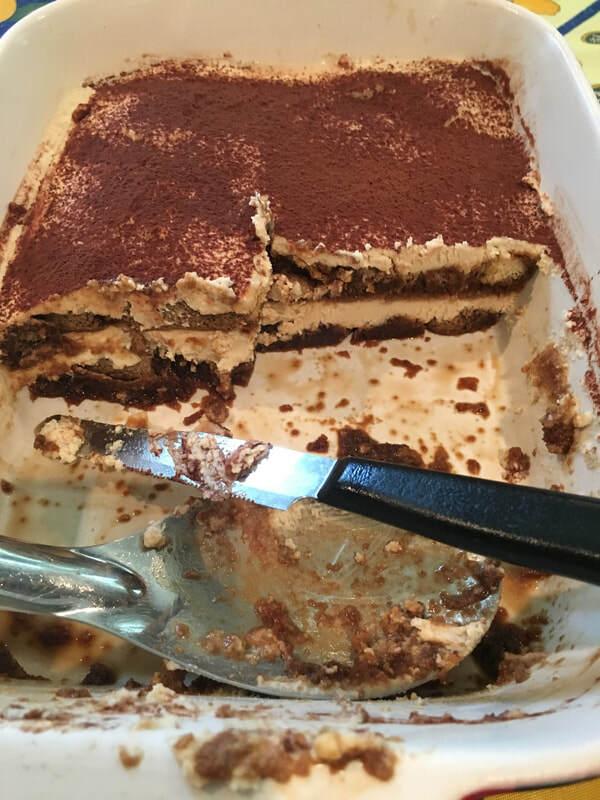 Tiramisu’ is best eaten the day it’s prepared. While perfectly safe to enjoy the next day, the biscuits get a bit soggy and wet. 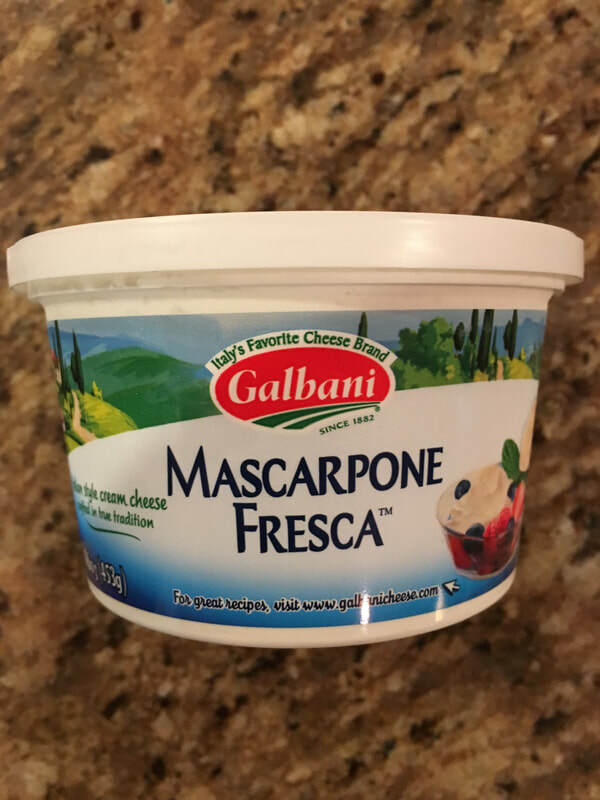 This is my Mascarpone cheese of choice. Allow it to sit on the counter for at least several hours before making the cream. After I brew the espresso, I add several tablespoons of sugar. It sounds like a lot, but when you have this much espresso, you really need it. I find cooling it in a pie plate works great as it cools quickly, and the dish is large enough to dunk the lady fingers. The ingredients are very basic for this dish, as you can see. You may end up never ordering it outside again! 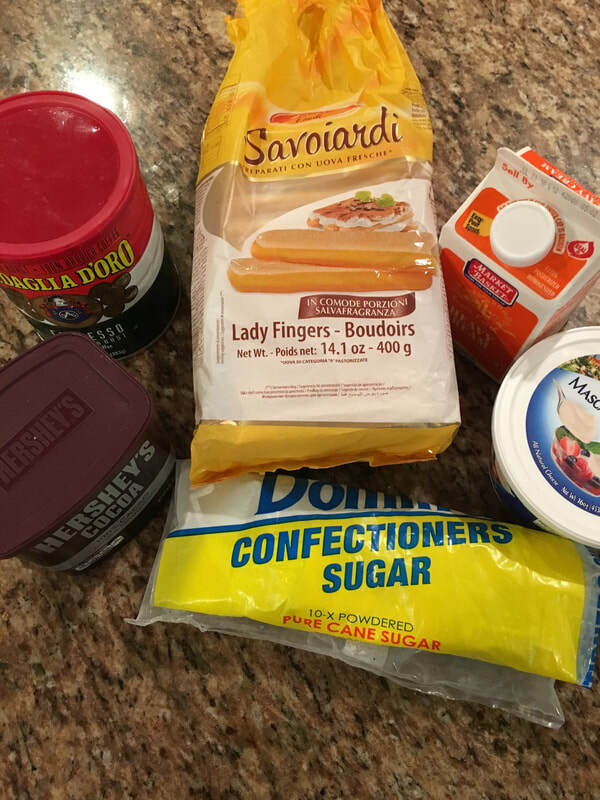 Starting by mixing the mascarpone cheese before adding the rest of the ingredients for the cream. Once a few tablespoons of brewed espresso are added, the process is much easier! Once the liquid whipping cream is added, the cream comes together very nicely. As this point, it’s smooth, delicious and can be eaten with a spoon! Quickly and swiftly dunk both sides of the lady fingers in the cooled espresso. 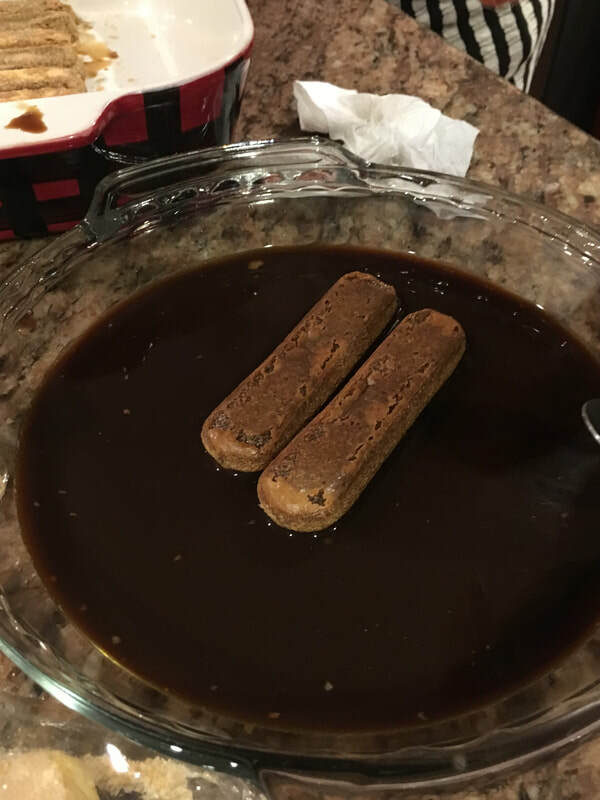 Start layering the dunked biscuits in your pan of choice. Obviously, a square pan works best, but you can use whatever pan you like. You might have to break a cookie here and there to make it fit, as I did on the bottom, left corner. Spread half the cream evenly over the first layer of dipped lady fingers and repeat the steps with the second layer. Dust with cocoa powder and refrigerate for at least a few hours. For serving, you can cut squares with a knife or spoon into a serving dish. Look how think that layer of cream is! Pure bliss! Prepare espresso coffee and allow cooling for at least 30 minutes or more. 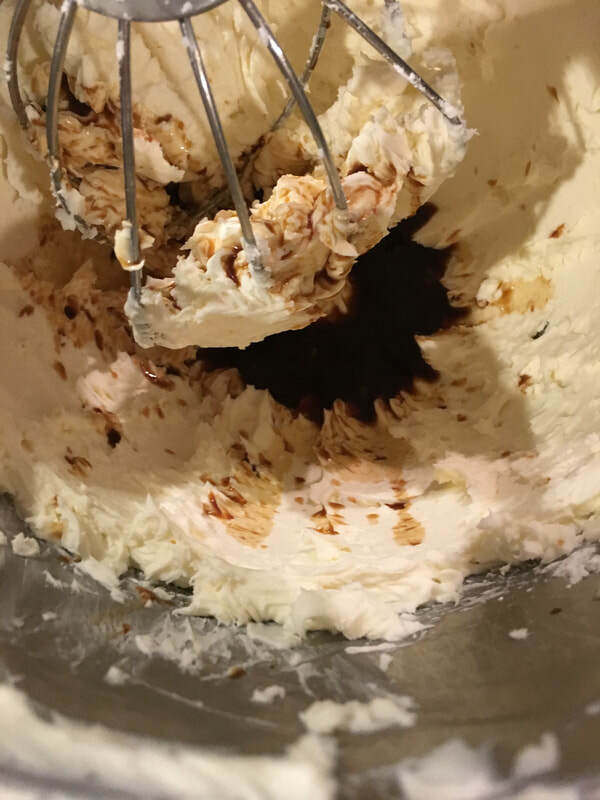 In a mixing bowl, mix the mascarpone cheese, the 3 tablespoons of brewed espresso and confectionary sugar until all the ingredients are well blended. 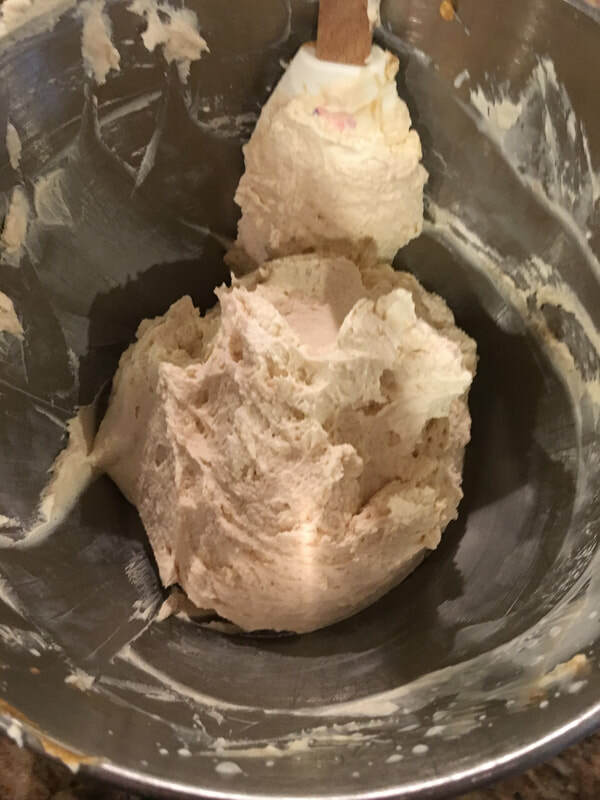 Once the mascarpone, espresso and sugar are well blended, add the liquid whipping cream and mix until all the ingredients are well blended, light and airy. Using one ladyfinger cookie at a time, gently soak the cookie in the cooled espresso, turn over and dip the other side. Place ladyfinger in a large baking dish. 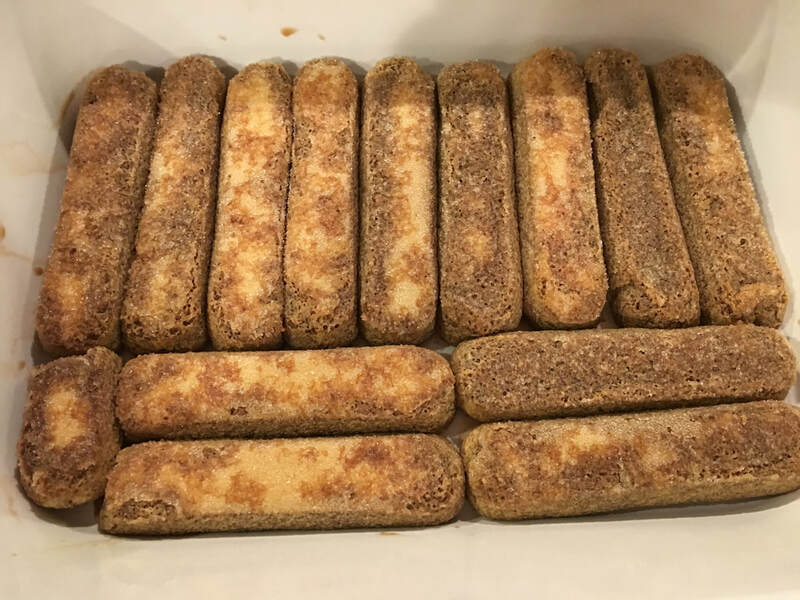 Continue until you have a full layer of soaked ladyfingers. You can break them in half to fit corners. 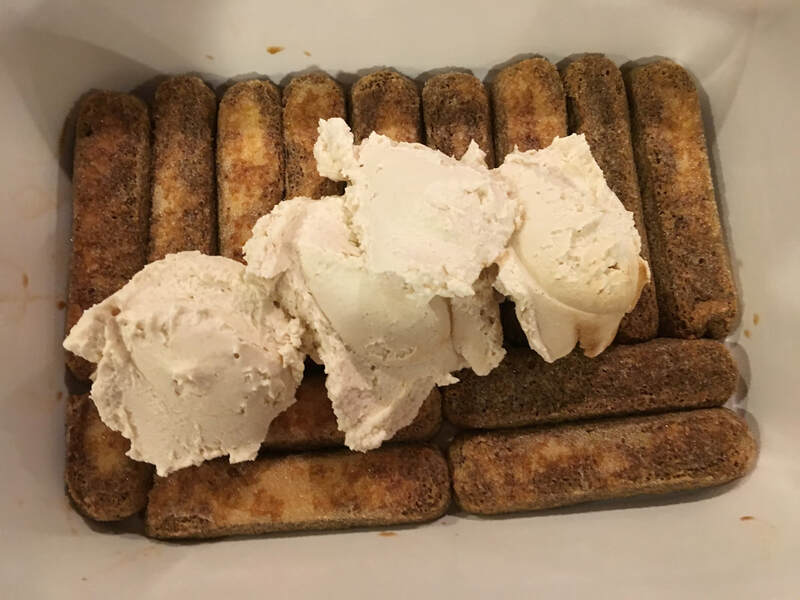 Scoop half the cream and spoon over the ladyfingers. Spread evenly. Dip the remaining ladyfingers and place over cream. Add the remaining cream and again, spread cream evenly over the top. Dust with cacao powder and refrigerate for at least 2 – 3 hours. Dust with additional cacao powder before serving, if desired. Ready to head to Italy? We have just a few spots left for our Bologna trip in October. Join us on October 1st! Click here for more info. We just announced out 2019 Tuscany trip! Don’t miss out on a memorable week in Italy’s most beloved region! We will be there April 28 – May 5! Click here for more info! No butter, no oil--just Italian deliciousness.